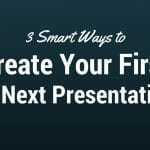 Great public speakers know that preparation is an essential key to any successful speech. One of the most effective ways to reach, move, and influence your audience, is to get to know who makes up your audience, and why they are choosing to listen to you speak. Many times people get nervous wondering what their audience is thinking about them. Instead, a much more productive and powerful thought is to think about why your audience needs your information and the important difference it will make in their lives. There is a lot more to preparation that goes into a sensational presentation content than just knowing your material. You’ve got to know your audience. Take the time to do this important research. I have seen many speakers make the fatal mistake of not getting to know their guests. And then, they present things that do not meet their audience’s needs, desires, or expectations – resulting in a less than extraordinary event, or a downright failure. A simple way to conduct this research is to ask your audience what they want to know. This can be done prior to your speaking event through an e-mail questionnaire. With the growth of the internet, there are free internet survey services available or you can create a questionnaire on your web site or blog. If you are doing a general survey for your database, it’s a good idea to keep the format as multiple choices whenever possible. Honor the fact that your audience probably has many other obligations, so brevity and ease of response is very important. Another idea to overcome the “chore” of answering another survey is to offer a complimentary bonus of 10% off purchased product or a free gift after they completed the survey. This “coupon” would encourage people to take the time to answer your questions and provide you with targeted insight on how to focus your presentation. You’ll easily make up the initial difference in the overall success of your event. 1. What are 3 specific goals you would want to achieve after attending ….? 2. What are the 3 biggest changes you want to make in your ability ….? 3. What would you expect or like me to do to support your goals during and after…? 4. How will you know when you are receiving value (i.e., your money’s worth) from …? If you know what your audience wants, you are well on your way to successfully delivering it, leaving them feeling satisfied, and bringing them back for more of you in the future. If you want them to be singing your praises for years to come, give your audience what they want and need and are ultimately craving.